Spring will be here soon. Pre-ordering of fruit trees and perusing seed catalogs has begun. Are you lucky enough to have neighbors that share plants? Are there seed swaps in your area? If you look, I think there are! You know why I think that? Because more and more, people are realizing that sustainability matters. Growing food matters. 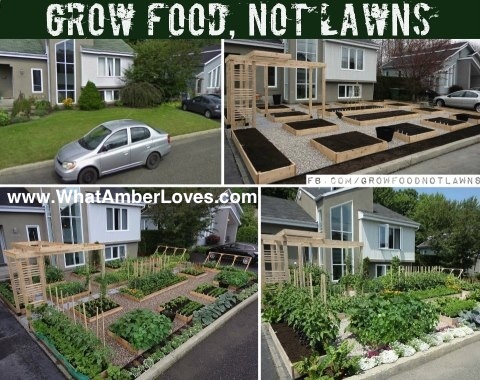 Growing lawns . . . Umm, not so much. As a US citizen, we can be environmentally friendly and grow our food or we can grow lawns and have watermelons from the southern hemisphere of mother Earth in every grocery store during the middle of winter. We can support our celebrity television chefs that recommend eating what is seasonal, locally or we can listen to some of the other irresponsible chatter. What chatter you ask? Well, it has sort of stuck with me that a few months ago, I was watching a celebrity chef’s show, and the chef made a comment about using fresh berries and how great it is that they are available year ’round. The chef then started adding all of these strawberries, blackberries, and raspberries to the dish she was creating for the television audience. I cringed. Here in Arkansas, I know when fresh blackberries should be available. Mid January is NOT that time. In this context, I’m using the term “chef” a bit loosely; as we’re all aware, some of those shows are as much (or more) entertainment than they are about actually creating a meaningful dialogue about food or gardening. Despite our seasonal differences, the recipe looked pleasing and I look forward to trying it, when the season is right for me, here in Arkansas! The truth is, buying fresh berries in Arkansas this time of year means the berries have travelled a great distance. This is not environmentally friendly. Second, during January, instead of buying these “travelled” berries, the frozen berries are usually going to taste better than the travelled because the frozen berries were picked at peak of ripeness then frozen instead of being picked early in order to accommodate travel time. Regardless, the “chef” was correct; you can, in fact, buy fresh berries in the middle of January that have been trucked in from distant states or shipped from foreign countries. Times have changed. I’m not that old; I’m only 34, but I’m certain that when I was a kid, we weren’t buying fresh blackberries and watermelons in January. What has caused this dramatic change in our markets? Is because we CAN, we do, despite the inferior quality compared to having local when it is in season? Are they made available to us because a few celebrity chefs tell us these things should be available whenever we want them? Despite living in a farming state, it’s astounding to me how much of the produce isn’t local or regional in our area grocery stores. I’m aware that if you live in a Northern state and enjoy pineapple or avocados, shipping produce huge distances is the only option to get these items. So, for that, I’m grateful we live in a global economy. Enjoy your pineapples and avocados. I mean that. I enjoy mine. My complaint genuinely is with fact that local seasonality doesn’t seem to receive as much acclaim as it deserves. So, I’m asking of you and me, “When possible, can we all try to eat a bit more of what is actually ‘in season’ for our region?” Let’s be aware of what we’re eating and where it was grown. Our choices are affecting ALL of us that share this planet. Ok, I’m off my “seed box” for now. Well, sort of. Nevermind, there’s actually quite a bit more of being on my “seed box” to come. . . 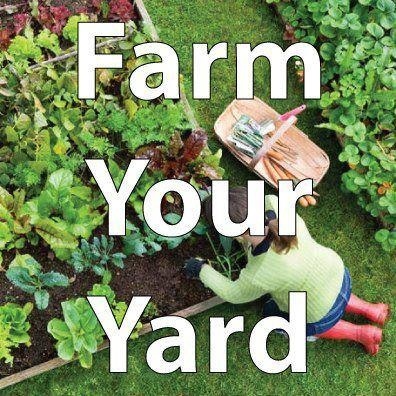 If you’re lucky enough to have a yard, are you using any of it for garden space? Is there an edible plant in your yard? If there is even one that was planted by you, I celebrate you and your effort! I’m not a professional gardener. However, I’m trying to be more responsible than being a “lawn-er.” I’m planting. I’m learning bit by bit, one plant at a time. YOU can do it, too! Our old house that we sold two years ago had a few impressive garden features, especially given its small lot size. There was a huge pecan tree in the backyard, and in addition to that existing tree, during the 13 years we owned the home, we planted an apple tree, two plum trees, multiple figs, 3 grape vines, blackberries, rosemary, and a decent size vegetable patch in addition to all of the ornamental and fragrant plantings. This new home we purchased sits atop a hill. Gardening this space has its challenges, but I’m determined. It may take me the next 13 years to transform it, like our last house, or we may move on before it is “full,” but regardless, I know one day if/when we leave it, it i will leave knowing it has become a piece of property much improved by the addition of fruit trees and herbs and garden patches. I truly, at a very fundamental level, think it is important to grow something you eat. Even if it is just one thing, perhaps start with planting rosemary. You’ll love having it available year ’round. Or chives; they just keep coming back. Grow something. 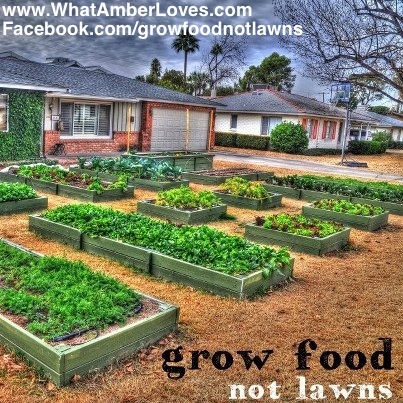 I’ve found this really motivating Facebook page about sustainability gardening, called Grow Food Not Lawns. I say that I’ve “found” the page, but in actuality, there are over 100,000 other people that have found it before me. Unfortunately, Pinterest isn’t able to “pin” directly from Facebook, but I would like to share these cute images and spread a message thoroughly support, so I am adding a few of those images to this post! As for me and my lawn? Well, there is still more than enough lawn to spare *sigh*, but we’re working on it! 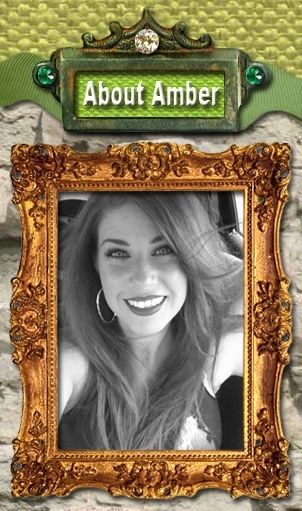 🙂 YaY! To date, in addition to the existing walnut tree, because we believe sustainability matters, I’m proud to say we’ve planted a few edibles: an apple tree, three types of peach trees, two grape vines, rosemary en masse, sage, chives, and roses. I’ll let you know what else I plant this year. I’m thinking figs along the back fence, for sure. Do you have anything that you recommend for me, here in zone 7? 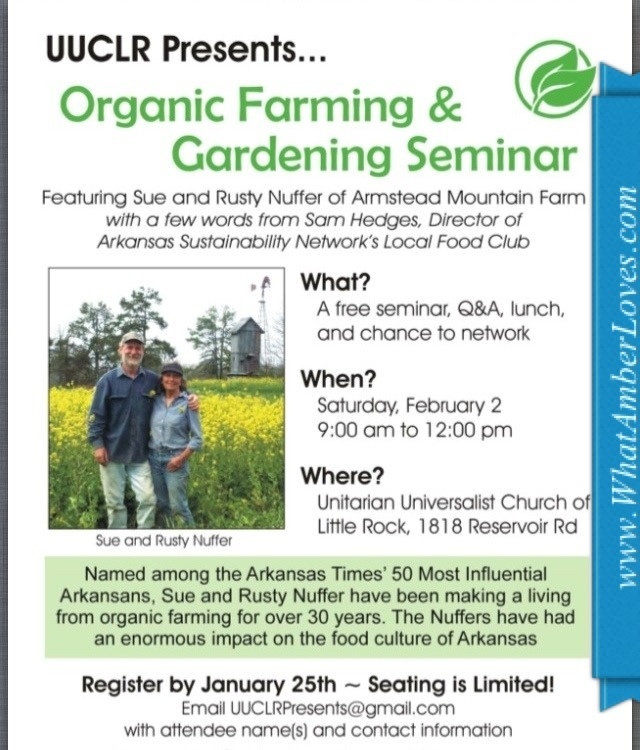 This coming Saturday, I’m attending “Organic Farming & Gardening Seminar” featuring the Nuffers of Armstead Mountain Farm and Sam Hedges, Director of Arkansas Sustainability’s Local Food Club. Muddy hands cleanse the spirit! Get out there, dig a hole, and get dirty! NOTE: This article has been revised by me, and may be revised again at a later date without notice. If you commit to grow something edible, you’ll appreciate farmers more. I’m convinced. I’ve found that I’m quite a bit more appreciative of the food on my plate, now that I participate actually growing part of what goes onto the plate. I’ve also been lucky enough to see actual farms, recently, here in Arkansas, that are now growing strawberries year ’round, thanks to protective hoop coverings during winter months! I’ve been following both SEED SAVER trends and GMO/GE crop technology and find both absolutely FASCINATING! 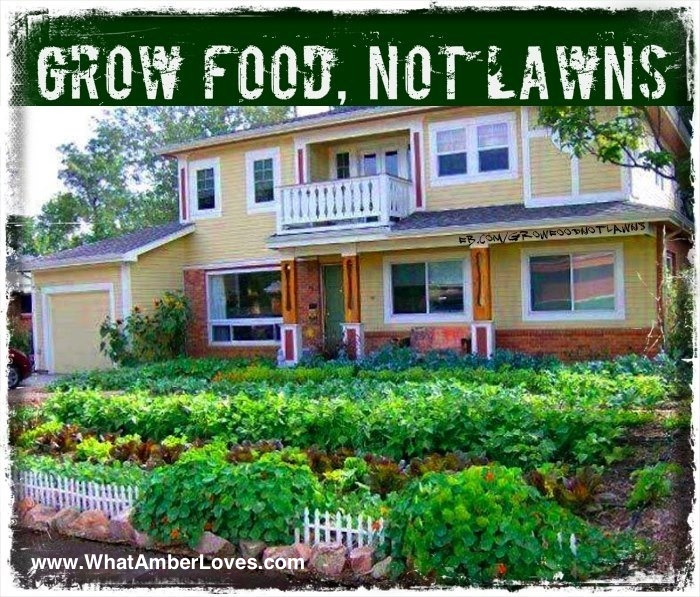 Posted on January 28, 2013, in Uncategorized and tagged Arkansas, gardening, Grow food not lawns, sustainability. Bookmark the permalink. 3 Comments. Good stuff! Your words inspired my blog entry tonight. You should see some of the pictures I have of front yard gardens, and hear some of the amazing stories that go with them. Future fodder! Love it. 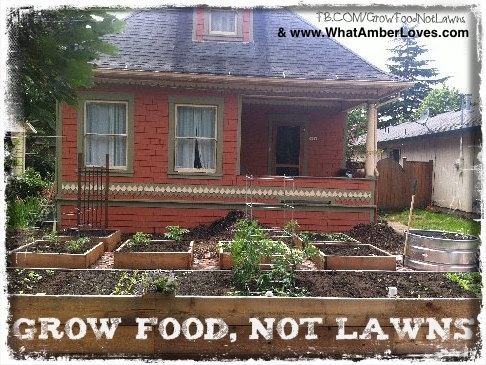 I remembered when Grow Food Not Lawns Started on face book. It was just a few hundred people when I liked the page. I am starting my first garden here in North Little Rock. I am sooo excited!!!!!!!!! I am going to grow some of my veggies vertical. Its just amazing to see life start from a seed….just amazing. I am hoping that a group starts here in Little Rock.